In use it ran fine - obviously it's an old bike that's been used as a trackbike so if you're looking for a minter move on, but it did the job well and was perfect for a cheap toy. Unfortunately however I lowsided when I last used it, and whilst it didn't do much damage to the bike at all, it did crack the fairings when it went down so it'll need a new set. I've been as honest as possible below, but if you have any questions please post on here or send a PM. 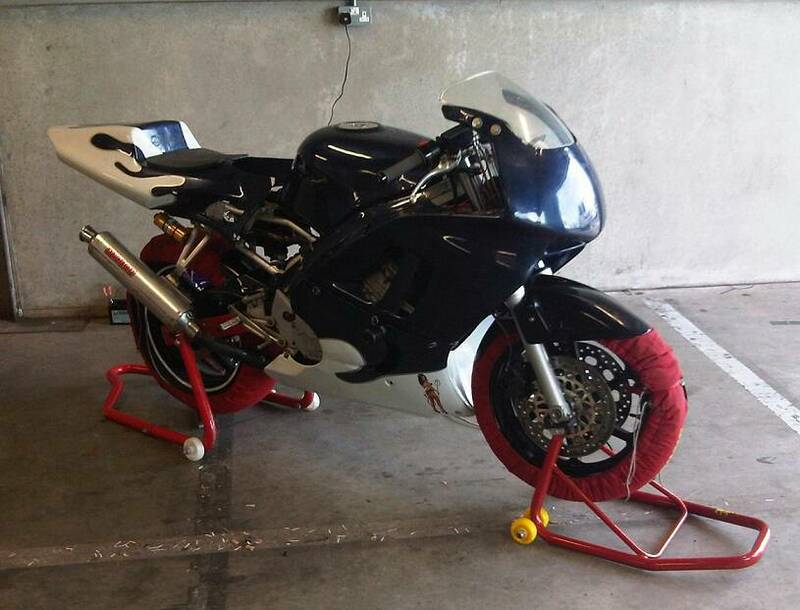 [*]The bike - 1995 CBR600FS trackbike – no V5, but bought from Sling Shot Racing in Preston with an intact frame number, plus I ran the number through the police before purchase and they had no record of it being stolen etc – I’m a little over cautious with stuff like that! [*]The rev counter doesn’t work properly, seem to be 2x the actual revs. It’s been like that since I bought it, probably an easy fix if you got second hand clocks - I didn’t find it a problem as you can hear / feel the engine, but just being honest. Here is a photo of it from Donington with the tyre warmers on so you can get an idea of what it'll look like with new fairings – the colour scheme and stickers that were on there before were certainly not my choice, but that’s how it came and it was functional, so I spent money on decent oil etc instead. I really like this photo, properly good memories for me – but I had moved the seat back to charge the battery, and I regret not pushing the seat unit forward again before taking the picture!! 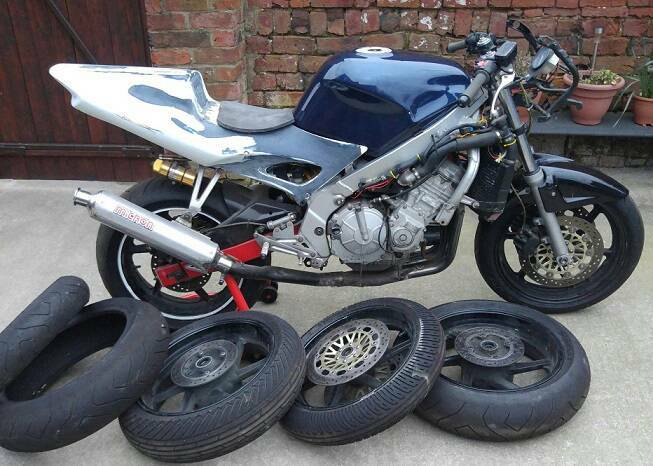 If you did a trackday on a modern bike and fell off, the repairs would likely cost more than I’m after for this thing! I really REALLY enjoyed it, properly good memories especially as with the suspension it handles so much better than you'd first think. Can I ask for an idea how much you are looking for please, Clarkey? norifan wrote: Can I ask for an idea how much you are looking for please, Clarkey? If I had the spare time and money I'd love to keep it and do a few more track days, but I need to admit to myself it ain't happening! Cheers Clarkey, that's prob about what I thought to be fair, I'll have a weigh up. Nice one ta. If i wasnt shifting my cbr on i would have had that mate. Did you sell this mate? uk13iker wrote: Did you sell this mate? Have you still got this? Started a new job and lad I work with is after a track bike.